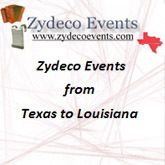 photo courtesy of The Zydeco Historical and Preservation Society, Inc.
Fr. Albert McKnight, C.S.Sp. of Bethel Park, a member of the Congregation of the Holy Spirit, died peacefully April 17, 2016 at Marion Manor, Greentree PA. He was 88 years old. Fr. McKnight was a towering influence on the African American Economic Development Movement in the South. He organized the Southern Cooperative Development Fund (SCDF) and Southern Development Foundation (SDF) to complement the Black Farm Coop Movement of the early 1970’s in the South. "He raised funds from both philanthropists, religious groups and the Federal government to lend to farm cooperatives at very low interest rates to help African American farmers better compete and save their lands." SCDF and SDF expanded to finance other types of cooperatives including printing operations, hotels, radio stations, including the first loan to WWOZ to get on the air. Ahidiana, Inc. financed its school buildings, printing press and book store using SCDF and/or SDF. Fr. McKnight promoted the use of Kawaida Principles and the Nguzo Saba as important values to enhance cooperative development, in his work as a pastor and as executive director of the National Black Catholic Clergy Caucus. He would often say that Ahidiana was his mentor in ‘Blackness’. 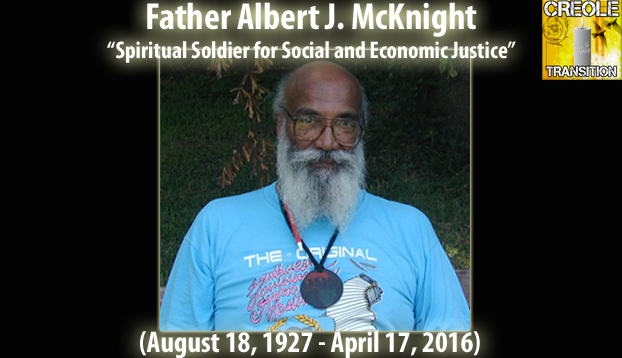 After retiring from SCDF and SDF, McKnight focused his work on Black Spiritual development emphasizing the African right brain consciousness. He continued to preach the importance of shutting out the distractions of the modern Western society (left brain dominant) and spend one hour of silence to access our true African mind (right brain dominant). He believed that in doing this daily meditation that we could access our true humanity, our African humanity which is the basis of all humanity. May he be honored among the ancestors; remembered for his wisdom and his good deeds. The Spiritan Order has posted an obituary for Fr. McKnight.